The "Buckeye Retreat" is a beautifully furnished Oceanfront condominium tucked away in a unique, secluded complex w/ only seven other units. 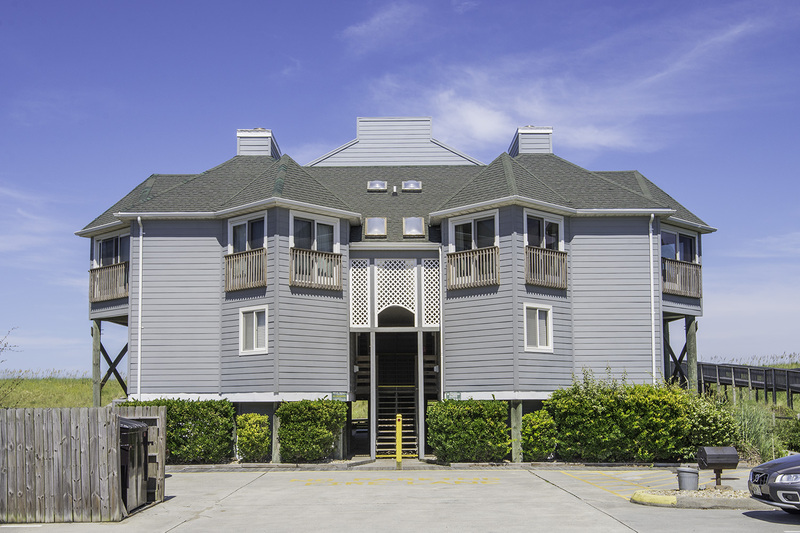 Enjoy one-level living on the elevated first floor w/just a few steps to climb from the adjacent parking area. A very comfortable, lovingly maintained unit w/ a living area that is bright & inviting w/large flat screen TV. 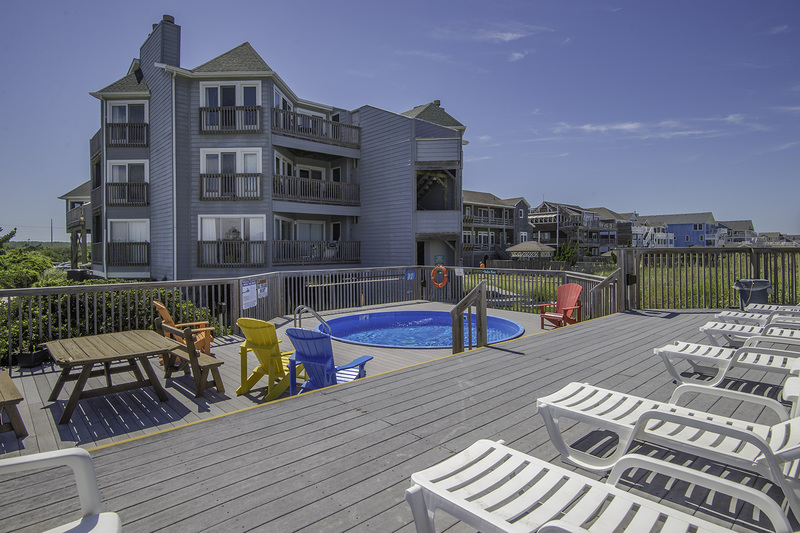 The kitchen is well equipped w/breakfast bar & there are multiple decks to enjoy. 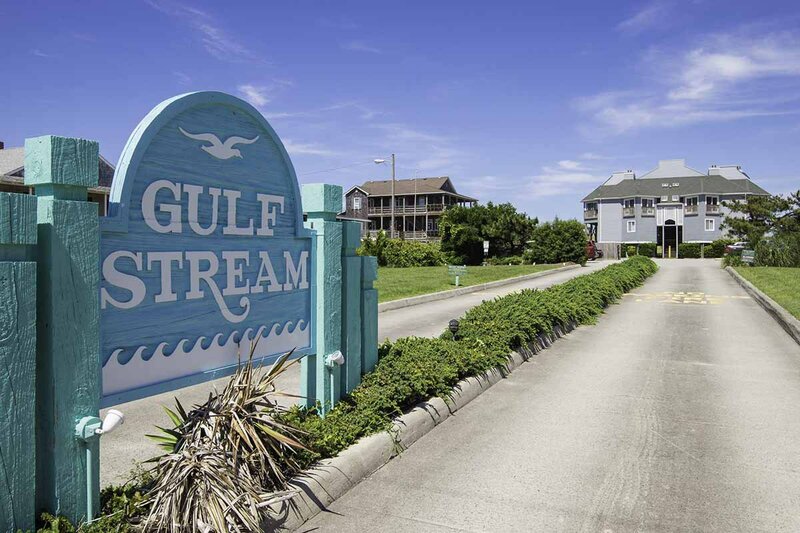 Even though the Gulfstream is designed for privacy the complex features community amenities which allow guests to gather & enjoy their vacation together. Like to Golf? 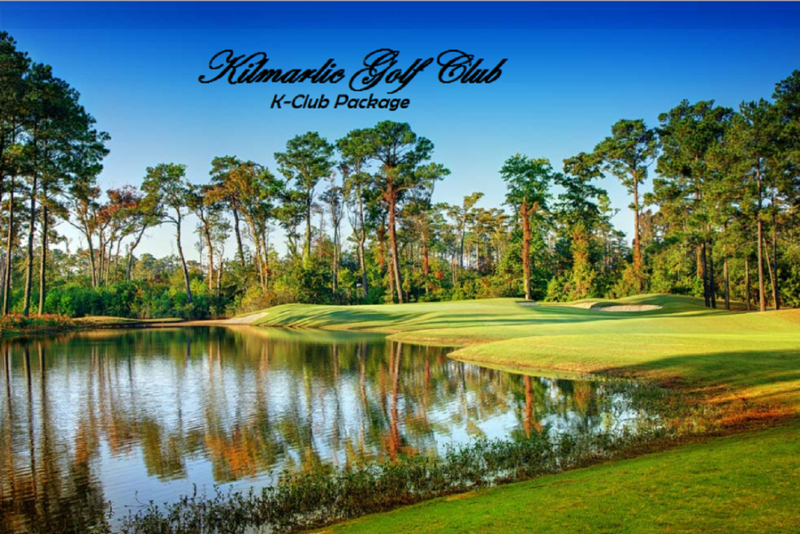 Each Rental Guest receives Kilmarlic Golf K Club Privileges. 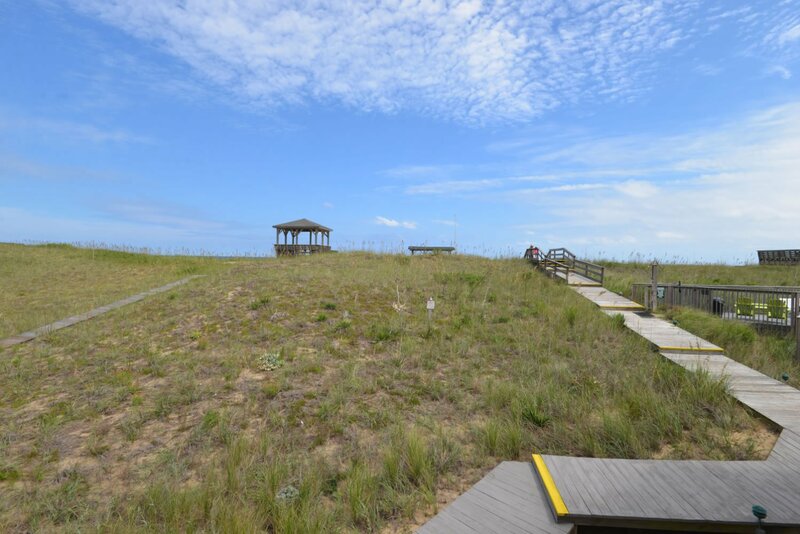 Ground Level: Parking for 2 Cars per unit, Community Pool w/Pool Furniture, Sun Deck w/Deck Furniture, Walkway to Beach, Dune Top Deck w/Steps to Beach, Cargo Lift, Community Picnic Tables, & Community Charcoal Grills. 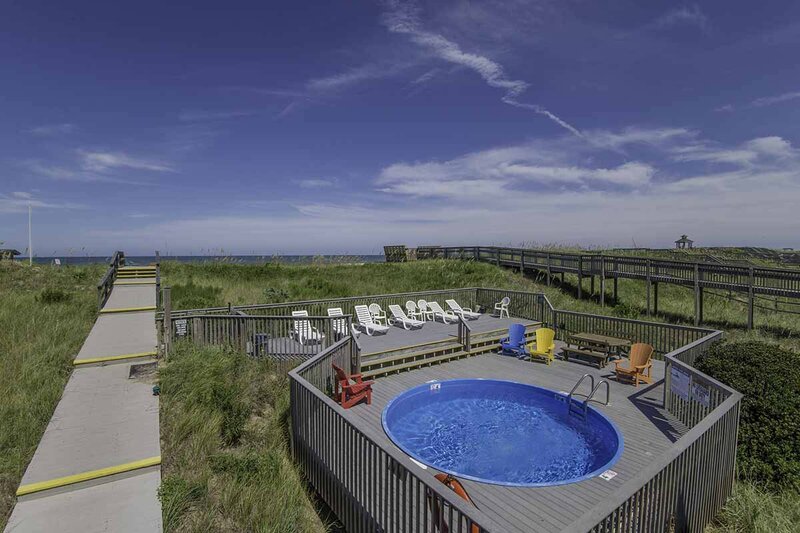 Main Level: Living/Dining/Kitchen Area, TV, DVD, Stereo, 3 Bedrooms (Oceanfront Master Suite w/Queen, TV, DVD, & Full Bath w/Shower, 1 w/Queen, TV, & DVD, & 1 w/2 Singles, TV, & DVD), Full Hall Bath (Tub & Shower), Laundry Area, Side Covered Sun Deck w/Table & Chairs, & Oceanside Covered Deck, Furniture, & Guest Closet. 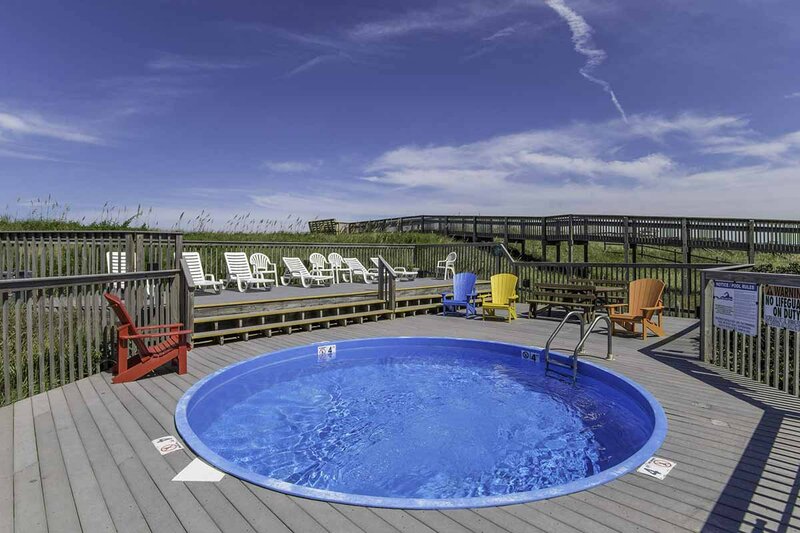 Features Include: C/AC & Heat, Washer/Dryer, Dishwasher, Phone, Fax Machine, 4 TVs, DVDs, Wireless Internet, Stereo w/CD, Ceiling Fans, Beach Chairs, & Fishing Poles. No Pets. This is a Non-Smoking Unit. Great location! Comfortable and well stocked condo with everything you need! This house is decorated just beautifully! We loved the Decore, mantle; everything was just beautiful. Kitchen was stocked great. Filter water in the fridge saved us from buying a ton of bottled water. 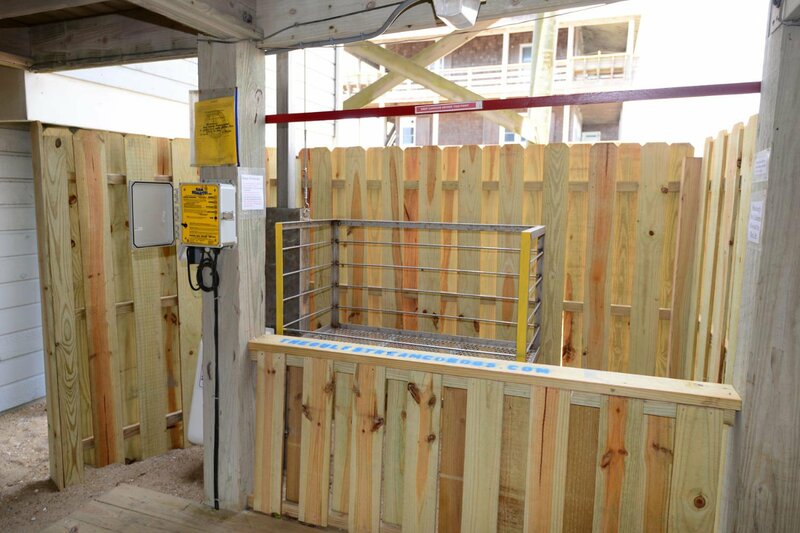 And we appreciated the first floor entry from the oceanfront. 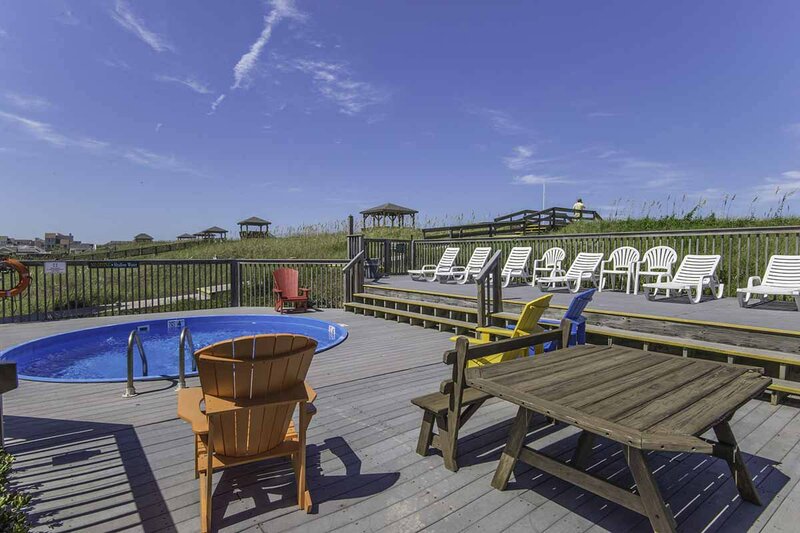 Excellent stay....we enjoyed the house, it's close location to beach access, & it's updated amenities. This rental was nicely decorated, spacious and comfortable. Very nice.This rental was nicely decorated, spacious and comfortable. Very nice. Beautiful home - really enjoyed the stay. Well equipped kitchen. The home was beautifully decorated, very well maintained and comfortable with many thoughtful details. We especially loved the master bath and the location was perfect. The condo was very well maintained, clean, and had many everyday items available for use. The furniture was in great condition and it was decorated very nicely. We have already recommended to a friend.